Capturing a screenshot is one of the thing that, sooner or later, every user has to do, and most Windows users now that they can use the PrtScr ("Print Screen") key to do it. However, you may be surprised there are a few extra ways to grab screenshots, and some may even help you save valuable time. Should you think that odd key had no effect, because it didn't do anything when you press it, let me let you in on a secret: whenever you press it, you're grabbing a screenshot into the clipboard. Then you need only open any imaging program (like Paint) and press paste, and then save your screenshot with the format and name of your choosing. If you're on Windows 8.1 or Windows 10 and want to make it even faster, try pressing Windows + PrtSc. 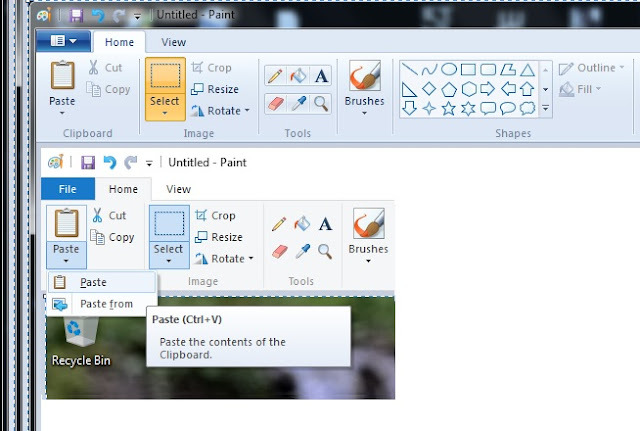 This bypasses the need to open a program and paste the clipboard, as you'll get an image automatically saved in the screenshots folder under your Pictures folder. Many time, you grab a screenshot of the entire screen just to clip it to a single window. Well, there's no need for it, as pressing ALT+PrtSc will capture just the active window into the clipboard. 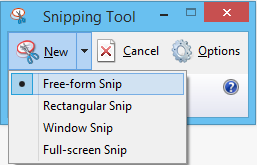 Since Windows 7 you also get a nifty screen grabbing tool called Snipping Tool. With it you can not only grab a screenshot of the entire screen area, but also from a specific window, any rectangular region, or even from a free-form area of your liking. If you have no PrtSc key around - like in a tablet - you can use the same technique used in mobile devices: press Windows + Volume Down, and you'll get a screen grab added to your photo library.